Introduction by Carolyn M. Gravelle, Ph.D., M.Ed., M.A.T. Wildlife researcher Judy Berg combed the Colorado River while tracking a once state-endangered species, the North American River Otter, in its natural habitat. From her experience emerged a riveting story that blends researched facts, interpretive photographs and illustrations, descriptive poems, Native American folklore, firsthand observations and personal narrationa blend that elevates this natural history to a class of its own. With a curious mind and the gift of a medicine bag, Judy Berg journeys into the otter's world and returns with an award-winning, venturous natural history story, The Otter Spirit, to share with mankind. "Listen to the Ancient Voices and realize the sacred gifts that Nature offers. Then, for certain, you will find your Otter Spirit 'immersed as one' and alive forever. Follow the Otter Spirit to find your own spiritual connection to Nature." Because river otters are such a mobile species, Judy was provided the opportunity to concurrently observe and document the behavior of another species during her project, the beaver. Beavers and river otters reside within, or moved through, many of the same locations throughout her study site’s 40-mile stretch of watershed. 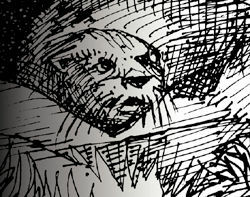 From her many observations and corroborating library research emerged a companion to The Otter Spirit, the equally educational Conversation with a Beaver. During the many hours spent alone performing her research in the natural world, many thoughts threaded their way through Judy's mind, eventually materializing as themes for fictional tales. With her research career fulfilled and The Otter Spirit published, Judy evolved these themes into a collection of short stories, now published in the volume Weathered Wood and Other Short Stories. Website created by Pine Orchard, Inc.